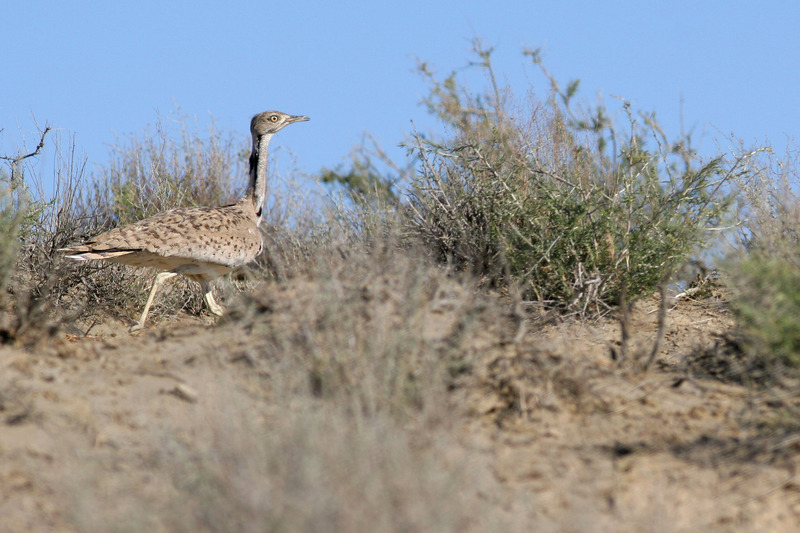 The Asian Houbara Chlamydotis macqueenii is threatened by unregulated hunting, trapping for illegal trade and habitat degradation. Hunting must become sustainable in order to conserve the species and maintain the important cultural tradition of Arab falconry. We develop, demonstrate and advocate a model approach to sustainable management through a programme of scientific research. 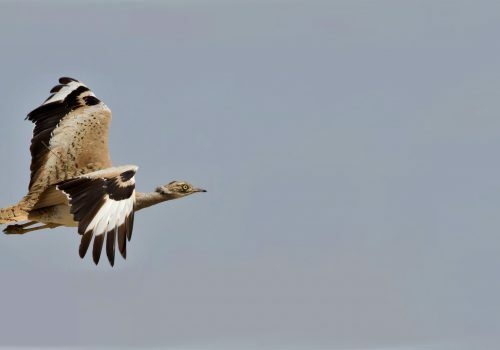 Through the scientific study of wild and captive populations we provide evidence to support the conservation and sustainable management of wild migratory Asian Houbara. 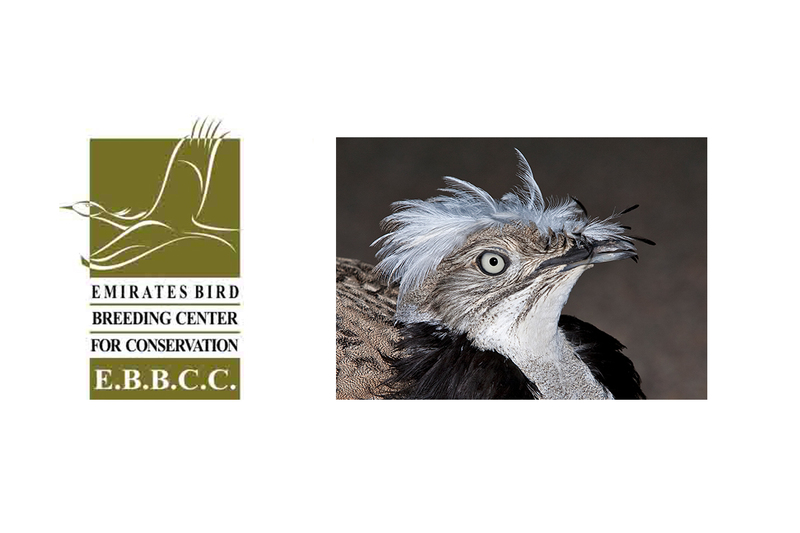 EBBCC created a breeding centre in the Bukhara District of Uzbekistan in 2006, in cooperation with the State Nature Committee of Uzbekistan. A breeding flock was established with founders taken from the wild Bukhara population of the Kyzylkum desert. 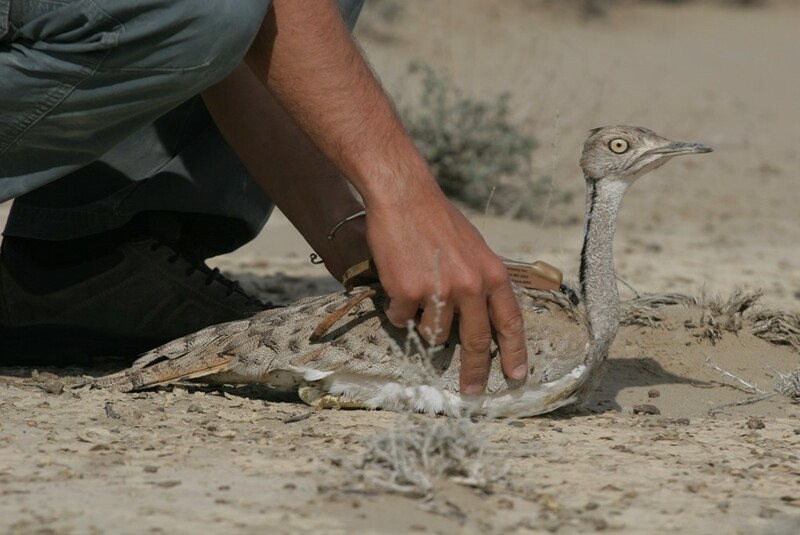 The first captive-bred birds were released into the desert in 2010. The Houbara Management Programme, led by Professor Paul Dolman, works with the Conservation Ecology group at the School of Environmental Sciences, University of East Anglia UK, a body of independent scientists with a wealth of experience across a wide range of bird species and ecosystems including several threatened bustard species. 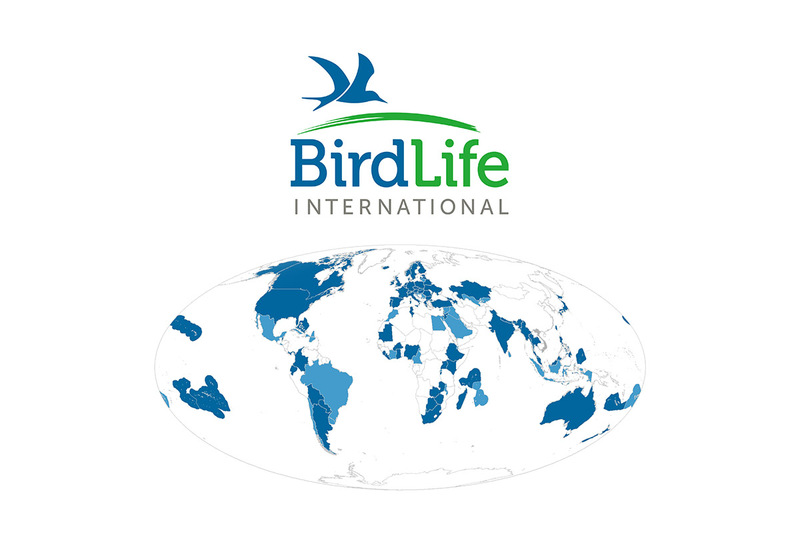 BirdLife International is the world’s largest nature conservation partnership, representing 120 BirdLife Partners worldwide. 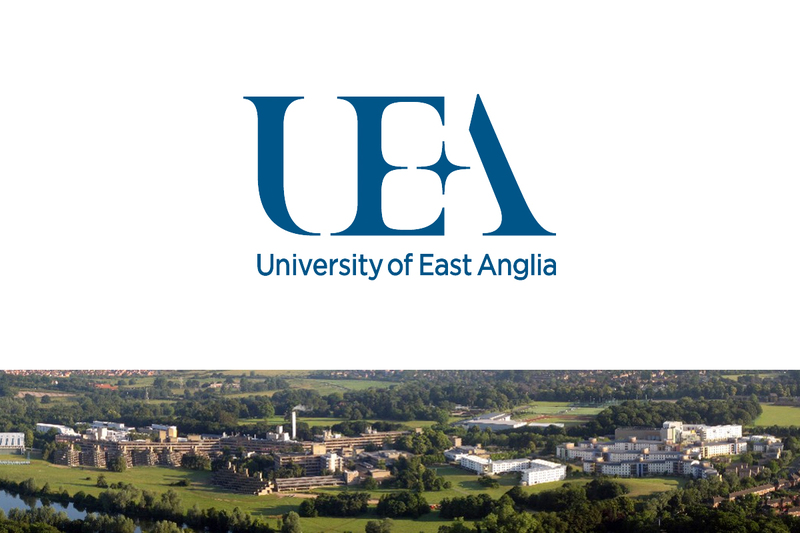 Professor Nigel Collar, based in the BirdLife Secretariat, is Chair of the IUCN Bustard Specialist Group, has worked on bustards for more than 40 years and leads the collaboration between EBBCC and UEA. The views and recommendations expressed are those of the project and do not necessarily reflect the views of the organisations who have come together to work on the project.